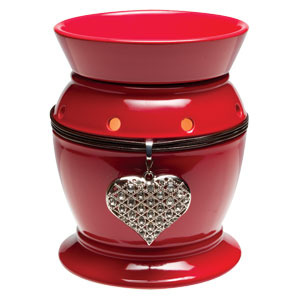 Hand In Hand: January Scentsy Deals! This month with Scentsy is a pretty exciting one! We are starting off the brand new year with Bring Back My Bar! Once a year some discontinued bars are voted for and those that win get to come back for just this one month. I have to say, I am really loving the idea of Root Beer Float! Check out the bars! I love that the bars only cost $5.00. It's so much cheaper than a candle and lasts longer, people!! Another thing that's special this month is that if you host a party you can get DOUBLE the host rewards half priced items! That means if your party qualifies with sales of $150 or more, you get two half priced items instead of one. Awesome! Let me know if you want to host one! It can be online or if you live in the area we can do a house party! I always have the warmer of the month in my sidebar, but just in case you haven't seen it...this months WOTM is called Be Mine. It's so pretty! I don't know about you but I love decorating for holidays and this one if perfect for Valentine's Day next month. WOTM's are always 10% off in their month so get it now! The scent of the month in January is Happy Go Lucky. It's 10% off in January as well! "Happy Go Lucky captures the exhilaration of a new romance with luscious red berries, silky orchid, and Japanese plum floating on a cloud of amber vanilla."